5/2017 A TV appearance on time travel (Hebrew, channel KAN). 5/2017 A hypothesis regarding a relation between bat evolution and a period of darkness following an asteroid impact appears in "The K-Pg event as a key to bat evolution", see here. 4/2017 The SFI method is used to achieve a novel evaluation of a Feynman diagram in "The Vacuum Seagull: evaluating a 3-loop Feynman diagram with 3 mass scales, see here. 1/2017 Recognized as Excellent teacher of the Hebrew University for previous school year. 8/2016 Michael (Misha) Smolkin joins the faculty of the theoretical High Energy group. 8/2016 Presented "Effective black hole degrees of freedom at low frequencies" at the Inward Bound conference on Black Holes and Emergent Spacetime, 17-20 August 2016, NORDITA. 6/2016 " Bubble diagram through the Symmetries of Feynman Integrals method" appears. The Symmetries of Feynman Integrals (SFI) method is generalized to include diagrams with external legs, and the 1-loop propagator diagram ("the bubble") is analyzed and its value is reproduced through solving the SFI equations. 4/2016 The Racah Institute hires Yonit Hochberg and Eric Kuflik thereby establishing a long-awaited for group in High Energy Phenomenology. They defer their arrival to the following year. 4/2016 "The algebraic locus of Feynman integrals" appears. It defines a certain locus in the parameter space where a Feynman integral can be reduced to a linear combination of contracted diagrams. 11/2015 Joined the iCore grant and Center of Research Excellence in The Quantum Universe. 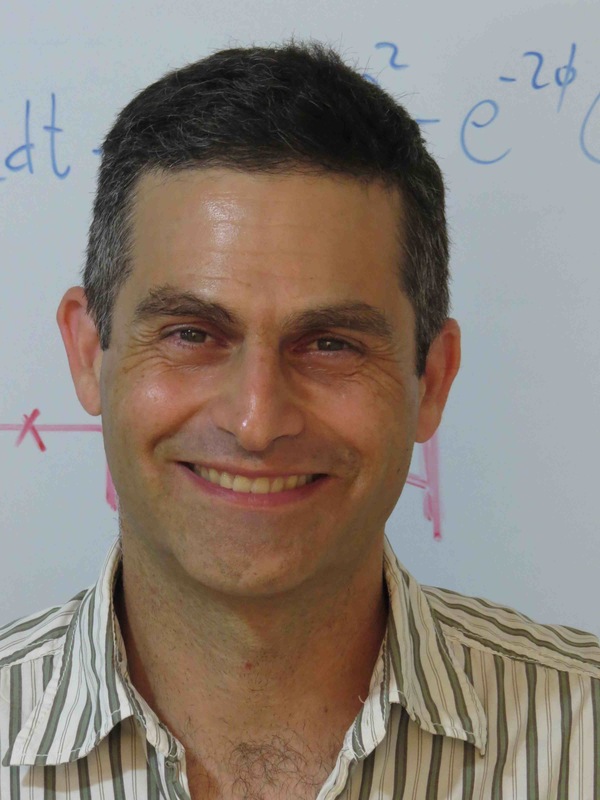 8/2015 The group mourns the passing of Prof. Jacob Bekenstein, a black hole pioneer and a model physicist. 7/2015 "Symmetries of Feynman integrals and the Integration By Parts Method" appears. This work associates with Integration By Parts, a method to compute Feynman integrals having some 1000 citations, a group action on parameter space and studies its consequences. 3/2015 The course "Analytical mechanics" 77303 is rated as the 3rd best among the 65 physics courses in the teaching evaluation questionnaire. 3/2015 Organized Hebrew Un. - Humboldt Un. meeting - hosting the group of Matthias Staudacher, 22-29 March, Jerusalem. 3/2015 Israel Science Foundation (ISF) rejects individual grant proposal in a rare and puzzling procedure prior to external referee process. 2/2015 Accepted the position of Head of physics studies at the department starting October 2015. Research to continue at full speed.